Andrea Conjerti joined the firm in 2015. Andrea was born and raised in Lockport, NY, and earned her Bachelor’s degree and her Juris Doctor from Michigan State University. 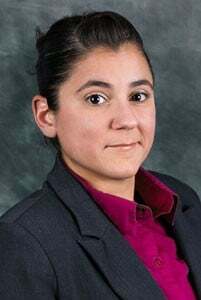 While in law school, Andrea was a member of the Michigan State University Law Review, and earned the Jurisprudence Achievement Award in Research and Writing, as well as Criminal Law. She was also a research assistant, and worked with Professor Craig Callen on a new edition of Wigmore on Evidence.